The element of surprise gained Skipper a momentary advantage. 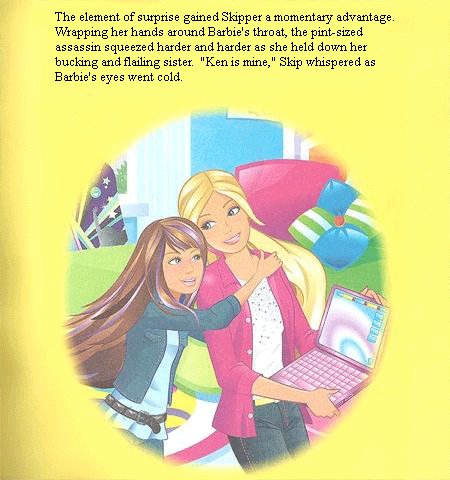 Wrapping her hands around Barbie's throat, the pint-sized assassin squeezed harder and harder as she held down her bucking and flailing sister. "Ken is mine," Skip whispered as Barbie's eyes went cold.